Dr. Matthews practices general internal medicine in Washington, DC and is a member of the clinical faculty at Georgetown University School of Medicine. 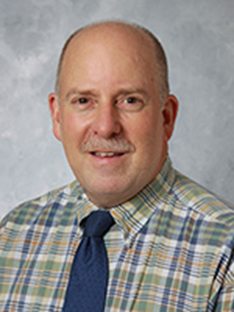 He conducts research and lectures nationally and internationally on the doctor-patient relationship and the psychological and spiritual dimensions of medicine, including the role of faith, religion, and prayer in clinical care and healing. He is the author of The Faith Factor: Proof of the Healing Power of Prayer(Viking, 1998). He has received the Vitals Patients' Choice Awards yearly from 2008-15 and Most Compassionate Doctor recognition from 2012-4. He was named a Washington, DC-Baltimore-Northern Virginia Super Doctor yearly from 2011-13. 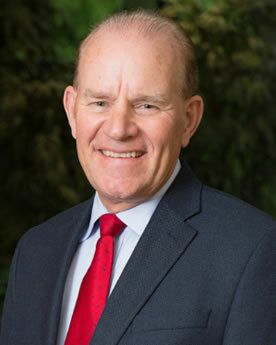 Dr. Matthews has been featured in numerous national newspapers and magazines, including the New York Times Sunday Magazine, Washington Post Magazine, USA Today Weekend, Hartford Courant Sunday Magazine, Los Angeles Times, Christian Science Monitor, Newsweek, Reader's Digest, Prevention, Guideposts, Good Housekeeping, McCall's, and Christianity Today. He has appeared on many national television and radio programs, including the Oprah Winfrey Show, Larry King Live, Good Morning America, CBS This Morning, CBS Evening News, NBC Nightly News, Fox Evening News, CNN Early Prime Time, 700 Club, One-on-One with John MacLaughlin, and National Public Radio (The Diane Rehm Show and All Things Considered). Recognize the key symptoms, signs, and clinical presentation of somatizing patients. Define the concept of alexithymia (the inability of some patients to express emotion in verbal terms). Develop an effective management strategy for somatizing patients. Learn to evaluate and treat patients with Osteoporosis in the Primary Care setting. become familiar with both Palliative Care and the Hospice programs, and learn which patients qualify for which levels of care. Learn to make common diagnoses from atypical presentations. Learn to recognize Impaired Health Professionals and become familiar with resources available to help them. If you made your reservation(s) before June 16, 2017, and disembark in Cuba, you may still travel under the 'self-guided' people-to-people exemption or join a Cruise Line-guided group program. Please remember that popular shore excursions sell out quickly, so you'll want to book early to ensure that you get your preferred shore excursions in Cuba.